With shades of Charles Portis, Cormac McCarthy and Flannery O'Connor, this is a gothic western transferred to the ice-locked wilds of upstate New York at the turn of the 20th century; a brutal and searing debut novel about a mother's obsession and a son's search for answers in the wake of a terrible and violent tragedy. In the winter of 1897, midwife Elspeth Howell returns to her isolated farmstead to find her husband and four of her five children murdered. Before she discovers her remaining son, Caleb, alive and hiding in the kitchen pantry, she is shot. Caleb nurses his mother back to health, cleaning her wounds and keeping her fed, before he and Elspeth leave their home to seek retribution from the men who committed this heinous crime. As they travel from country to town to hunt the murderers, the reader learns of Elspeth's deep secret-that she kidnapped the very children who call her mother-and questions her role in the novel's initial violence. Meanwhile Caleb is confronted with the ways of a world he's never known. The line between justice and vengeance is thrown into question as Caleb and Elspeth are forced to reconsider their relationship and what unknown future lies ahead for both of them. 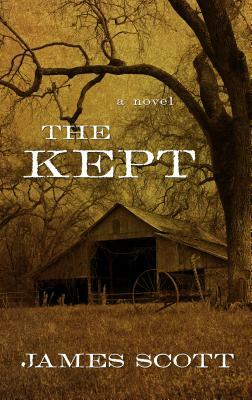 The Kept is a portrait of both maternal obsessions and a primal adolescence in a brutal world. Fans of True Grit's Mattie Ross and All the Pretty Horses's Jimmy Blevins will love Caleb Howell, the next great old-beyond-his-years protaganist of an unforgettable literary Western-this time set in the icy wilderness of the East Coast.